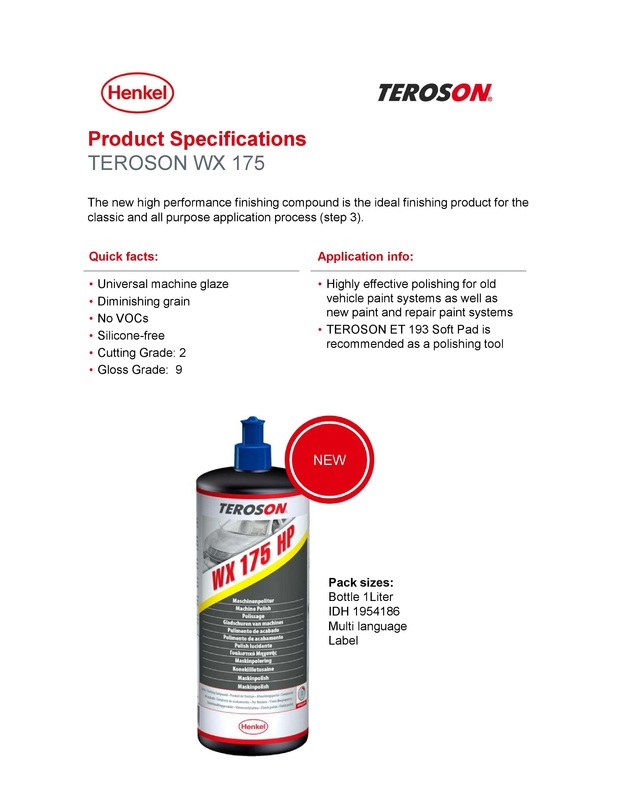 TEROSON WX 175 is a high performance finishing compound with low grit and high gloss. With it’s diminishing grain technology it removes sanding marks on old vehicle paint systems as well as new paint and repair systems. TEROSON WX 175 has low dust emission and is silicone-free.